As General Motors shuts down plants and axes cars in its lineup, it keeps going bigger on truck offerings. 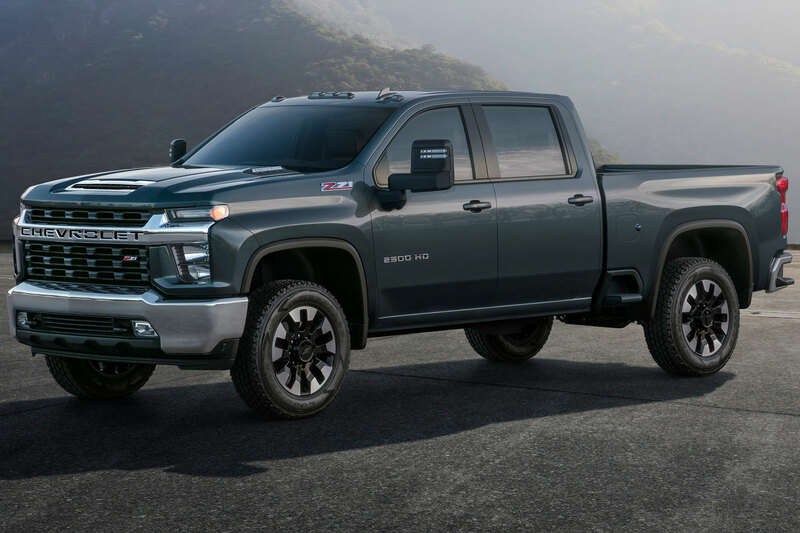 The 2020 Chevrolet Silverado HD is the latest truck in the GM stable to receive a full remodel. Chevrolet recently gave a select group of journalists a sneak peek at a full-size mockup of the 2020 Silverado HD, and only today gave us the photos shown here. I was lucky enough to be at the secret and surprise showing of the teaser mockup — and I can tell you that I wasn’t the only auto journalist excited by it. 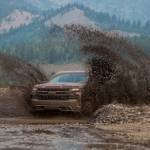 What is a truck “mockup”? Actually, it’s a full-size model made of foam, but Chevy gives it a full automotive paint job. And the result is very realistic. The photos shown here are likely the same model with some Photoshop work done. We won’t get to lay our eyes on an actual production-ready truck until February. 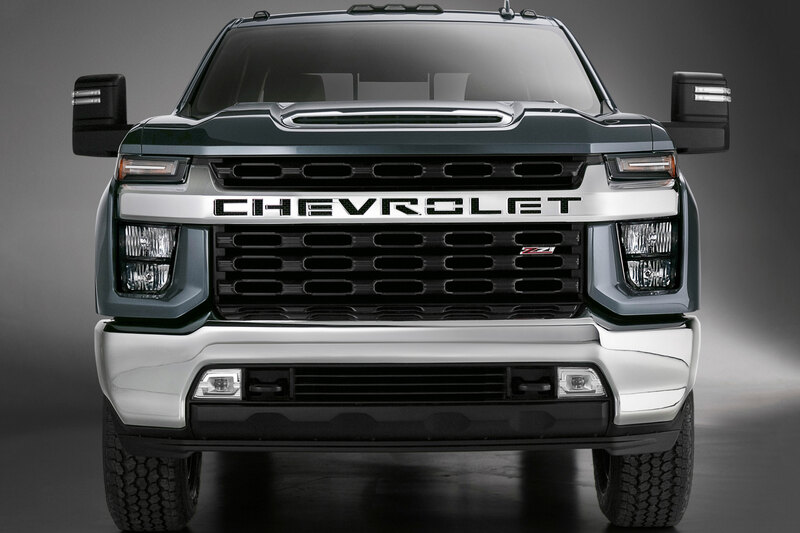 The new HD truck is instantly recognizable as a Chevrolet. 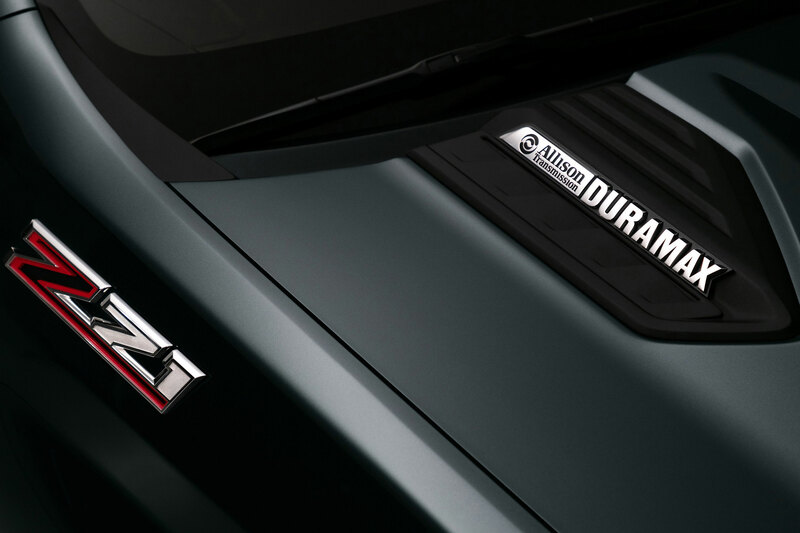 It carries over many of the current Silverado HD design cues and melds them with the muscular and aggressive lines of the all-new 2019 Silverado 1500. Beyond that, the only sheet metal the HD shares with the 1500 is the roof. The rest of the truck is completely new and unique to the Heavy Duty models. The new HD models will also roll on 34-inch tires. That big rubber will mount on 18- or 20-inch wheels depending on trim level and options. At the sneak peek, Chevrolet had a new 1500 next to the HD mockup vehicle. While the Silverado 1500 is no small truck, it was absolutely dwarfed by the new HD. We’ll probably have to wait until February to see side-by-side photos, but until then you’ll have to take my word for it. This is a big truck! 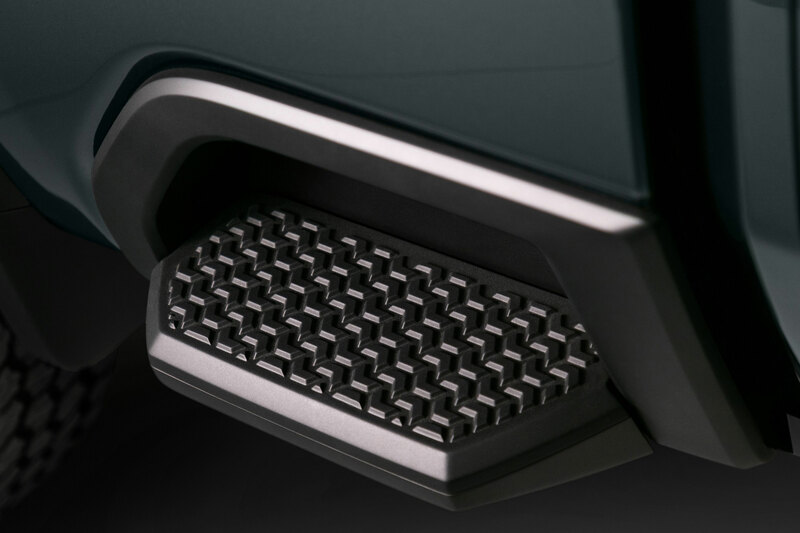 Besides the big bedsteps, the Silverado HD also gets larger corner bumper steps, just like the all-new Silverado 1500. And the HD has lower bed sidewalls, at least proportionally to the 1500. This is specifically for fifth-wheel towing. Although not announced, I expect to see the upgraded features on the 1500 like higher-strength steel construction as well as more and stronger tiedowns to come standard. We’ll likely also see a power up/down tailgate, task lighting, and power outlets as options in the bed. Powertrains are pretty much what you’d expect in the new HD lineup. We get a yet-undisclosed “all-new gasoline engine with direct injection mated to a six-speed transmission.” We also get one of the best engine and transmission combos ever, the Duramax Turbo-Diesel V8 attached to a 10-speed Allison transmission. The diesel puts down a massive 910 pound-feet of torque! The interior upgrades follow the changes made in the 2019 Silverado 1500. A taller seating position, more legroom, and a technology-packed dashboard lead the charge. The rear seat passengers gain a full 3 inches extra legroom in the crew-cab models. If you don’t have rear seat passengers, that extra room will also work well for gear you want to store inside the vehicle. I’m also sure you can expect all the latest safety, trailering, and convenience technologies the all-new Silverado 1500 features. Things like automatic braking, lane keep assist, blind spot alert, a heads-up display, a rear-camera mirror, and so much more should all be available on the new Silverado HD if Chevy specs it as I anticipate. The most exciting part is that the 2020 Silverado HD should hit dealer lots mid-2019. In the past 18 months, Chevrolet has brought us an all-new light duty, then a whole new line of “Medium Duty,” and now, finally, the fully redesigned Heavy Duty Silverado. I know the naming is confusing, but Medium Duty trucks are actually the big commercial-size trucks — think tow trucks, ambulances, dump trucks, and the like. GM started with a three-truck strategy in 2014, with the introduction of the midsize Colorado/Canyon. With a fourth truck category (Medium Duty), the all-new Silverado 1500, all-new Silverado HD, and the Colorado ZR2 Bison, Chevrolet aims to expand its footprint even more.